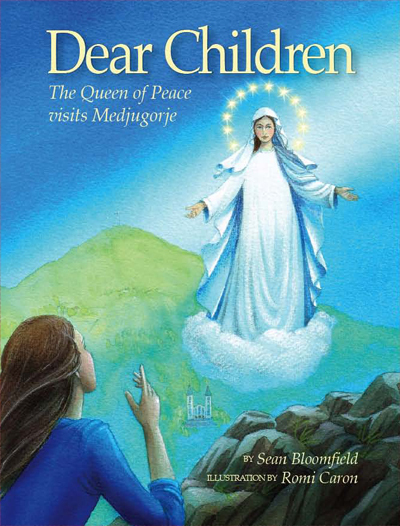 This is the Croatian version of Dear Children, the children's book about Medjugorje. Ljudi su živjeli kao i tijekom proteklih stotine godina – uzgajali su usjeve, skrbili o stoci i provodili vrijeme s obitelji i prijateljima. Nebo je, međutim, imalo drugačije planove i selo se zauvijek promijenilo nakon što je skupina djece vidjela izvanredan prizor na obližnjem brdu jednoga ljetnog popodneva. Tijekom povijesti ljude je u različitim dijelovima svijeta pohodila Marija, Isusova majka. Ipak, nitko nije očekivao da bi ona mogla pohoditi Međugorje, a najmanje od svih to je očekivalo šestero djece koja će postati poznata kao "vidioci". 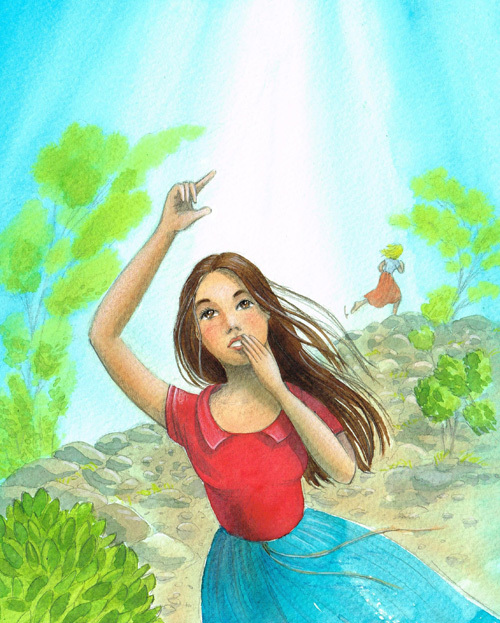 Iako to nisu mogli ni zamisliti, njezin nebeski pohod će preobraziti njihov uspavani zaselak u odredište nade i mira za ljude sa svih strana svijeta. 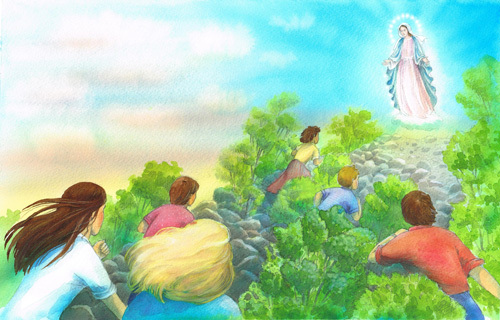 Marijine poruke počinju riječima "Draga djeco", a ona želi da je svaka osoba na svijetu vidi kao majku. Ovo je istinita priča o Međugorju i Kraljici Mira. 1/2 x 5/8-inch Sterling Silver Heart / Chalice Medal. 1 x 3/4-inch Sterling Silver St. Dennis Medal. 1 x 3/4-inch Sterling Silver St. Uriel Medal. 1 x 3/4-inch Gold-Filled (14K) St. Sebastian / Softball Medal. Our Sterling Silver 18 MM St. Anthony Medal features our 60-day money back guarantee and free Shipping Insurance, as does our entire line of religious jewelry. Part of our Religious Necklaces line, this St. Anthony Medal features a weight of 3.49 DWT, which is the equivalent of 5.43 grams. Our St Joseph Medal On Split Ring 3-Pack features 3 units for one low price. Saint Joseph Key Ring, Imported from Italy. 11" Dark Cherry Cross with Genuine Pewter Corpus Made from Furniture Grade Wood, Includes Deluxe Gift Box. This 11" Dark Cherry Wood Cross With Pewter Corpus features the CatholicShop.com money-back guarantee. This 7.25-inch 14K Yellow Gold Double Link Charm Bracelet With Lobster Clasp features our money-back guarantee and usually ships the same day if ordered before 6PM Eastern Time. Featuring a width of 7.9mm, this Double Link Charm Bracelet weighs 4.81 grams. Paired with one or more religious pendants, this 7.25 Inch chain makes an attractive bracelet. This 20-inch 14K White Gold Rolo Chain With Spring Ring features our money-back guarantee and usually ships the same day if ordered before 6PM Eastern Time. Featuring a width of 2mm, this Rolo Chain weighs 6.95 grams. Paired with one or more religious pendants, this 20-inch-long chain makes an attractive necklace. 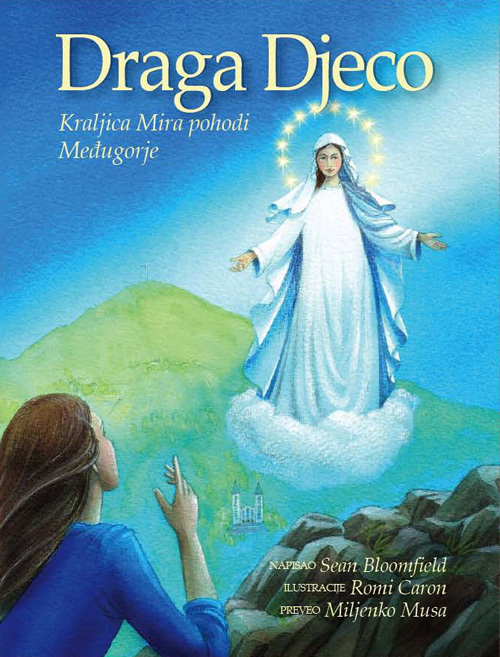 This DRAGA DJECO - Kraljica Mira pohodi MeÄ‘ugorje has passed our quality control assessment and meets our strict criteria to be a Catholic Shop product. Buy with confidence.